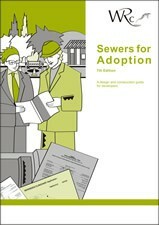 We can design new sewers for residential development under Section 104 & S106 Agreement (Water Industry Act 1991). To meet best and most cost effective approach when designing new sewers, we use latest AutoCAD as well as Site 3D and Causeway Solutions software. With our in-house expert knowledge, we will ensure the new sewer designed meets to industry standards to the approval with the Water Company and Environment Agency. This also includes private drainage to meet current Building Control requirement.